My experience in KL is one of those stories which will always be told in conversation with both old friends and new ones. Kuala Lumpur not only left an impression of a new and interesting place, but also one of comfort and nostalgia. The humid weather reminds me of Houston, my hometown, which I have not returned to in years. The late-night food culture reminds me of Hong Kong, my favorite destination in Asia - always vibrant and active. The warmth and generosity of the Malaysian people remind me of Peru, the birthplace of my parents and where I spent many of my developmental years. I hope to have more opportunities to visit and get to know this country, its people and its customs. 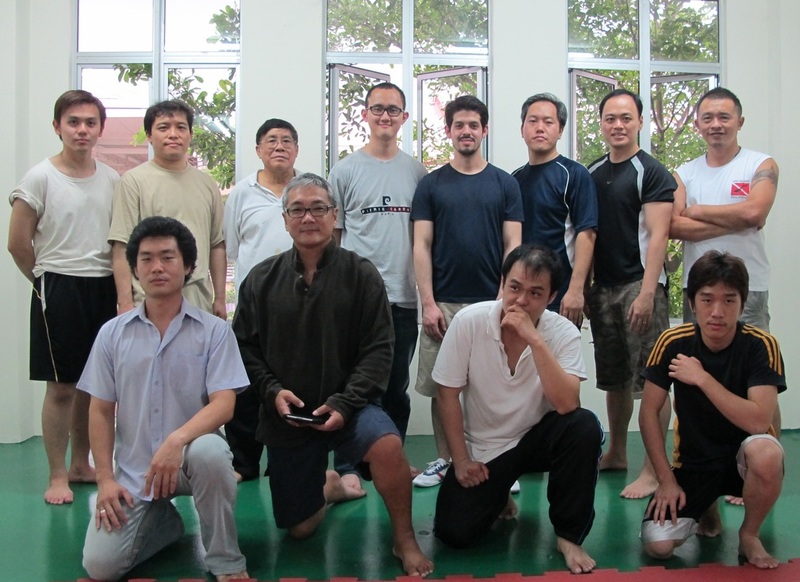 I became introduced to KL and a select group of martial artists through my friend Charles Chang. I met Charles in 2012 when he sought me out for instruction in Leung Sheung Wing Chun in Shanghai. We quickly became friends as we had similar thoughts and experiences in martial arts. Being based in KL, I recommended that he visit Wesley, my Sidai (younger brother-classmate) in Singapore and my Sifu (father-teacher) when visiting Hong Kong. Needless to say, Charles caught the "wing chun bug" and showed great effort to continue learning our methods. 1. Generally, they are only aware of the popular variety of Wing Chun as it is commonly shown on youtube. 2. As martial artists in the Japanese and Filipino styles, few of them take CMA seriously for fighting. 3. Generally, they don't see the value of practicing forms or "traditional" methods. 4. Based on their previous exposure, they may not consider Wing Chun to be a suitable vehicle for development. As a lineage holder in this style, it is my responsibility and honor to demonstrate the value of Wing Chun as passed from Yip Man to Leung Sheung, which in turn has been refined by my Sifu Kenneth Chung. On Charles' suggestion that Malaysia would also be a good place for me to explore future business opportunities, we decided to organize an introductory session. Together with Wesley, I demonstrated the qualities of our style, how it is applied and how to develop our attributes and skill sets. As this was a group of experienced martial artists, I made sure to show its effectiveness and efficiency in fighting first while framing our development method generally; in a way which can be imported into their current styles. After interest was peaked, Wesley demonstrated our fundamental development form - Siu Nim Tao - or "little idea". We hope that this nice group of guys will continue working on what was showed and take the opportunity to visit Hong Kong, Singapore or Shanghai for continued learning in the future. I also hope there will be more opportunities for my Sifu, my classmates and myself to visit KL in the future and share this wonderful art with our new friends. Overall, I would like to rate this workshop 7.5/10. Firstly, the internal and external concept. Maybe it just David’s own understanding but he did provide me an insight that his explanation of internalization make me understand the concept of internal. Through his explanation, I realized the form I practice is to build my structure and also my internal reference as 5 points in wing chun language. Therefore I knew what things that I am actually doing were and what are things that I need to develop. The mini workshop was an eye-opener. It totally changed my perception of what internal martial art is...rather than being pre-occupied by what the opponent is doing, we strive to ‘perfect’ our structure/attribute. And the structure/attribute of LSWC is nothing short of perfect for empty hands and close quarter. Even BJJ which advocates “position, position, position” cannot compare with LSWC in its internal/self-focus since its “position” is in actual fact “position in relation to your opponent”. Whereas in LSWC, you maintain your structure/position regardless of what the opponent does. This high-level of introspection helps quieten our mind in a stressful altercation. The philosophy – “never greedy, never fearful” wonderfully encapsulates the compact nature of the art; never over-committing or over-reaching and never flinching/retreating. It kind of reminds me of a Filipino art that we still practice (also the mirroring and square body). I have also gained a better understanding of the usefulness of FORMS. Through repetitive practice, the Siu Nim Tau develops ligaments, body structure, compactness, stance and state of mind. These cannot be developed through sparring (although some talented martial artists are capable of doing that) and partner drills. However, I have doubts on some of the more fancy movements of the Biu Jee, which do not seem to look like any fighting technique. Try as we may to justify them as valid fighting techniques, we would probably never know their true intention since the founder is long gone. Possibly, they are merely embellishments to confuse the on-looker. After spending some years in developing gross motor fighting skills perhaps it is time that we empty our cups to develop our fine motor skills. After all, martial arts are a process of learning, unlearning and re-learning and for fine- motor skill nothing is better than LSWC. I think of it as the “perfectionist’s martial art”.